Best MicroSD card available now! If you had given that command to your magic genie, then I guess you your genie doesn’t know, or you want a comprehensive answer. Trying to figure out what MicroSD card is the right one to get, or which one is a good fit for your smartphone or device can test your patience. Well, that is why I decided to make the ultimate MicroSD card guide, that not only highlights the best MicroSD cards for 2017, but also give those of you some in-depth information as it relates to this super-important storage device. This section will highlight the absolute must-have Micro SD cards on the market right now. I had to split my recommendations into 2 segments, as some expensive cards might deliver optimal performance, but for many, they would just need something simpler, at a lower price tag that delivers what they are looking for, for their given device. If you are looking for different sized cards, you can jump down to the different sections below. What is the Micro Secure Digital (MicroSD) Memory Card? The Micro SD memory was developed, tested and released on the market in 2005. Created by the SanDisk Corporation the format was originally called T-Flash a shortened version of Transflash, a name which is still used today. The name change was due to the Micro SD’s inclusion into the SD Card Association as its newest member. At launch there were three sizes of Micro SD, 32, 64, and 128 MB. 256, 512 MB 1GB & 2 GB cards followed shortly. Many people search for 3GB micro sd cards, but they are unavailable, Click Here to understand why. There are plans to release a 4GB MicroSD, that should be around mid 2007 before we see these on the consumer market. Right now there is the standard mini Secure Digital Cards (miniSD) and the ones that are High Capacity (miniSDHC). The standard miniSD cards are available in sizes from 4 MB upwards of 2 GB. The miniSDHC cards go from 4 GB – 32 GB. There has been some confusion when it comes to the use of these new miniSDHC cards. The new format makes these cards unreadable in older devices, unless they have a firmware upgrade. Many people end up purchasing these cards and find out that they cannot be used in their older electronic devices. In the smartphone market, right now the most popular memory card options are the MicroSDXC cards. You will often find that people are opting for these high-capacity cards, as they work flawlessly with today’s smartphones and the MicroSDXC cards are able to deliver the storage space that most smartphone owners are looking for, especially with the amount of data from pictures, apps, videos and music that people are constantly downloading to their device. While the 256GB MicroSDXC card is the biggest option currently available, the SDXC format allows to theoretically have cards as large as 2 TB. MicroSDXC memory cards have the same physical shape as MicroSD and MicroSDHC cards. The difference between the three is the file systems the cards use and their storage capacities. Devices that can use MicroSDXC will be able to take MicroSD & MicroSDHC cards as they are backward compatible. Sizes – MicroSDXC Cards sizes 64GB, 128Gb, 200GB & 256GB. File System – MicroSD cards use the exFat file system. Compatibility – MicroSDXC cards can only be used in devices that support the MicroSDXC format. The second generation of MicroSD cards is the MicroSDHC. A few years ago, there was a huge jump in the need for storage space and the small sizes of the MicroSD format would not be enough to handle the data needs at the time. The MicroSDHC format was developed and that allowed for larger capacity cards that could handle the growing need for storage space. With smartphones, HD video and larger picture sizes were common place. More and more people were downloading apps and the internal storage of the phones would get filled up pretty quickly. MicroSDHC cards were an alternative that a lot of people were gravitating towards. MicroSDHC memory cards have the same physical shape as MicroSD and MicroSDXC cards. What differs is the file system used with all three. Devices that can use MicroSDHC will be able to take MicroSD & MicroSDHC cards as they are backward compatible. File System – MicroSD cards use the Fat 32 file system. Before you head off to buy your memory card, it is always a good idea to research or check the documentation of your device and find out what card format will work. This will generally apply to older devices, as they will be the ones to use the older file formats. Motorola was the first mobile phone manufacturer to adapt microSD as the standard for its newest mobile phones. The small form factor was a match made in heaven for mobile phone manufacturers. 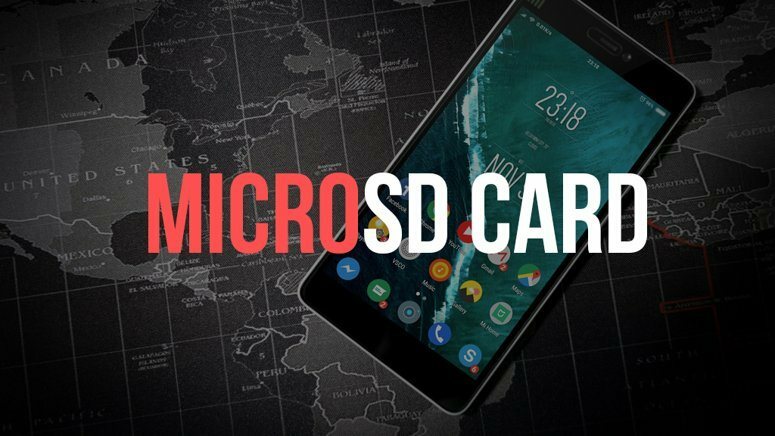 Phone developers such as Nokia, Samsung, Sharp, Panasonic, Toshiba and NEC have come aboard and are using microSD as the new standard. The size of the micro SD memory card has allowed manufacturers outside the cellphone industry to incorporate it into its design. You can now see micro sd transflash being used in handheld GPS devices, cameras, video game systems and many more electronic gadgets. What makes the microSD/transflash the memory card of the moment is apart from its minute size, it can also be used in devices that use other memory card standards. This is mainly due to the fact that it can fit in adapters. It can be used in any device that uses Secure Digital memory cards, as long as it is in the compatible SD adapter. Micro SD is known as microSD; this is the official name but many people place a space between the words. Transflash or TFlash is another name used to describe Micro SD. This was the original name before it was changed once it was incorporated into the SD association. Storage Size 16 MB, 32 MB, 64 MB, 128 MB, 256 MB, 512 MB ,1GB and 2 GB.